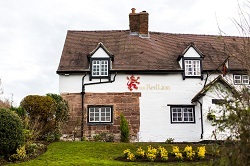 The Red Lion at Bradley is a quintessential village pub in the heart of Staffordshire. Inside you'll find a building lovingly transformed by its new owners but with a wealth of original features, including open fires, oak beams and all the quirkiness of a village pub. 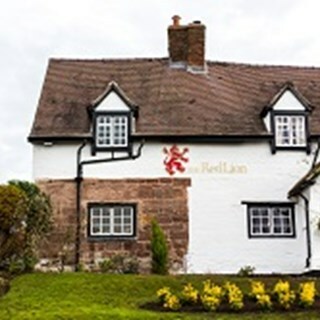 Everyone says the same thing - The Red Lion used to be "The place to go", we are proud to awaken the Lion and hear it ROAR again. Starters were average. Main course was no better. I had the mixed grill. The chicken was rubbery and the steak was full of grisly. The deserts we had were very nice although  you had run out of rubarbe to go with the brullay and you offered me ice cream instead. In our opinion we paid £20 to much for the meal we had. Lovely food and drink, enjoyed the evening sunshine and comfy seats in the bar whilst choosing our meal. We had a lovely dinner at the Red Lion. The food was consistently good - we all had different choices and there wasn't a weak spot at all. The service was just right: efficient, very friendly but not ’hovery’. It’s also in a very attractive location in a pleasant village. Absolutely worth going out of your way to visit. Afternoon Tea, my friend purchased gift vouchers for my big birthday. We had a wonderful afternoon with lashings of Tea and Cake. Lovely girl attended to us and we were impressed with everything. As always a very enjoyable dining experience. Already booked to return this time for Sunday lunch. Lovely for a friend's get together. Very good Sunday Roast Lunch. Really pleasant and efficient staff. Very good in all respects. Beautiful sunny evening. Friendly folks on the adjoining table. We were also celebrating the end of our amateur dramatic season.To sum up, we have already recommended the Red Lion to a couple of friends. We will come again. We know that with the LP partnership we can expect a high standard of cuisine and we were not disappointed. 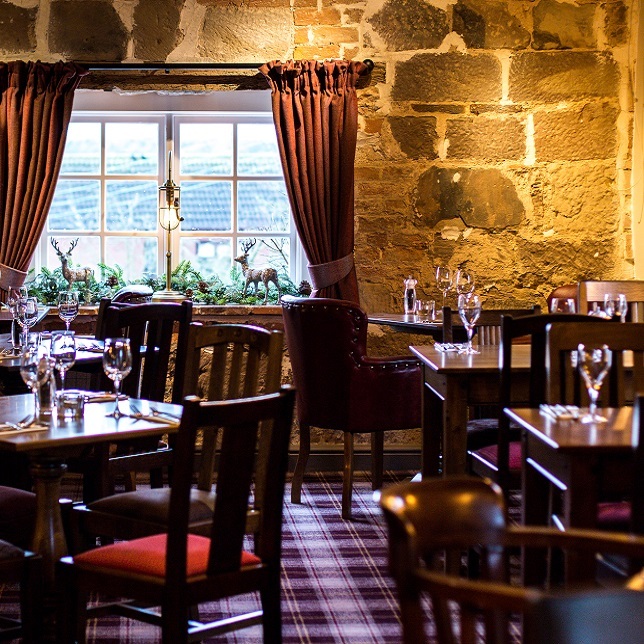 We have frequented the Moat House many times and have also been to the Dog and Doublet at Sandon. Wonderful, 90th birthday celebration. Sophie, Chef and staff ensured a celebration to remember. Good quality food and drink presented perfectly, with a service to match. The Red Lion is a credit to the local area, Thank you. Mexican theme night was fantastic! Great atmosphere, and food was beautiful! Great portions aswell for the price paid! And the mojitos were spot on! Will absolutely be returning to red lion !! Excellent we were late due to an accident on the motorway delaying us in Stafford but the staff fully understood and made us very welcome as they always have in the past. Recently we dined at the Dog and Doublet but must admit we preferred you. Keep up the good work and thank the chef and staff. Could not fault the food but service  lackadaisical. Booked table for 1pm at 1.40 pm had to get up and find dining table myself asked waitress to  send my guests through. Then we waited a long time for food (as it is freshly cooked) could not find anyone to take payment for meal. The pub was nearly empty the whole time. We were celebrating my 70th birthday with our best friends snd i wanted things to run smoothly, they didnt. Service with a smile as always. Gone downhill. Soggy chips.just like an ordinary pub. Menu unspectacular. What has happened? 4 of us went for Grill Night at 7.30 we all ordered the mixed grill, unfortunately there was only 1 left ! Disappointing for all, should we have pre ordered?? ?